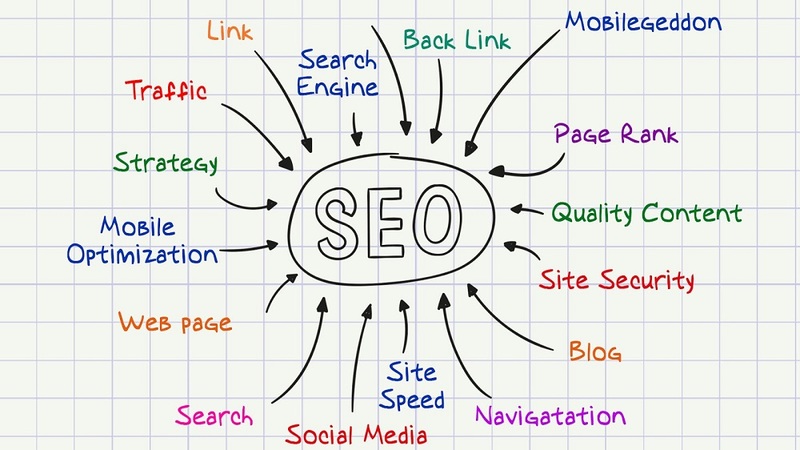 There are a few SEO myths that need to be put to rest. First, it’s not true that bad links (like those you obtain by treating your customers badly, so they complain on other sites) help your website to rank higher. Another one is that only links matter. Definitely not true – you should focus on quality, content and value. Also, it’s definitely not the case that meta keywords is used as a ranking signal. Lastly – the web spam team is neither exclusively algorithmic nor exclusively manual. It’s actually a combination of both the way Google fights spam. What are five examples of SEO misinformation from the past year given by reputable persons that made you want to bang your head against the wall? I can think of at least a couple and I’ll highlight those and then I’ll fill it out with some other misconceptions. The biggest one that made me want to bang my head against the wall was the idea that somehow if you do negative things toward your customers so they complain on customer complaint sites, then that links automatically count. It’s a dangerous idea that if you abuse your customers, the more bad you treat them – the more links you’ll get and the higher your rankings will be in Google. That’s definitely a misconception. Thor, from getsatisfaction.com, posted a blog post where he said: “look, we have nofollow on these links” – and just as a quick reminder, nofollow is a way, a general mechanism, to say “I don’t necessarily endorse this link to a third party”. So we can say to ourselves: “you know what, even though this is a reputable site, we don’t necessarily trust or don’t trust this nofollow link”. We drop it out of our link graph so it doesn’t figure into PageRank. No anchor text flows through that link. Another misconception that I’ve heard is that the Google web spam team is somehow slacking off this year. Just because certain SEOs might not see what various people on the web spam team are working on, doesn’t mean that we’re not working very hard. For example, one of the biggest things that we faced in the year 2010 was hacked sites. There are a lot of people out there who are trying to do, essentially, illegal things. They’re really trying to hack a site and add links to their own stuff, or distribute malware or viruses or trojans. This was enough of a malicious trend that we wanted to spend some time on it, put some cycles in, and try to correct it. That involved a lot of people working for quite a number of months. As a result, people might not have seen other changes going on. If you take your resources and you’re trying to stop hacked spam sites, then you might not see as much of the regular spam fighting. The good news is that the hacked sites changes have mostly gone live, and those people are sort of being pulled back to work on the regular web spam that people might otherwise see. People sometimes think “Oh, I only need to get links; I don’t need anything at all other than links”. It does help to have good content on your site. Don’t just pursue links. Also think about your site’s architecture, how crawlable it is, how discoverable it is, whether you have good internal links, whether you have the words on your page that people are actually going to search for. All of those things are really useful. A specific misconception that I’d like to pull out and highlight is that the keywords meta tag counts in Google search rankings somehow because it just doesn’t. And then another little bit of misinformation that I’ve seen from a few people, not necessarily because they were deliberately trying to spread any misinformation, is that the web spam team is either all algorithmic or all manual. The fact is that we do reserve the right to manually remove sites when we get a spam report or when we somehow detect that something is going on. We do have a manual team that operates in many different languages around the world. We’re proud of that team. They do a great job. As far as I know, every other major search engine also has a team that looks at spam manually. And that’s great, because not only can they remove spam, but very importantly, they provide training data for the engineers who work on web spam. It’s good to know that it’s not just engineers and it’s not just manual people checking out spam reports. It’s the combination of both of those that really is the way that Google approaches web spam. Those are just a few of the things that I saw this year, and I’m glad to have the chance to clarify it for you.